Hello everyone and have a nice time. We have wonderful news in the fan-corner part of the site. 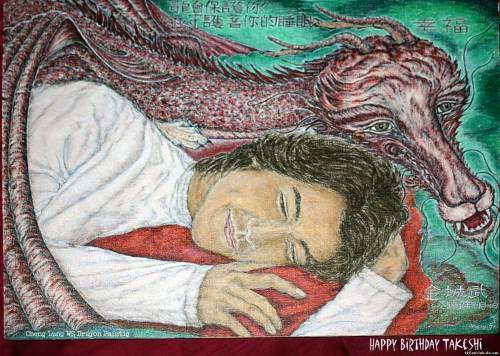 A bit late and therefore administration asks for your forgiveness but we introduce the new picture done by the super-talented Cheng Lung Ws who sent those arts at the day of Takeshi Kaneshiro's birthday. This image is intended to encourage to think about our future. We can all do something to get us and all the other people a better future. But we must finally start to do it! I wish a better future in peace and harmony with nature and all living things for all people around the World! You are reading the fan-creations bulleting now. 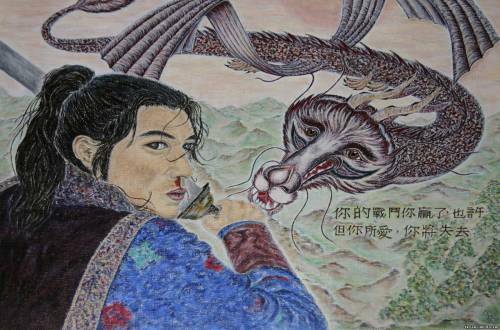 We have an incoming new great piece of art from our artist: tender and caring picture made by Cheng Lung WS. This image is titled: The time of life flows endlessly. 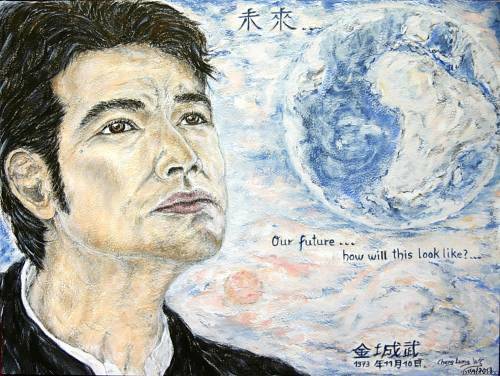 This message itself is the approach to all people of this world and is conveyed symbolic by Takeshi Kaneshiro and Lau Tak Wah. With this picture I would like the people to move, think about it and ask them, to respect nature and, again, live in harmony with it. I want the people to be moved by it, as fellow human beings again with more mindfulness, compassion, respect and helpfulness and to re-learn, how to be there for each other and to help each other. I would be happy If many people share this message and send it to many people around the world. 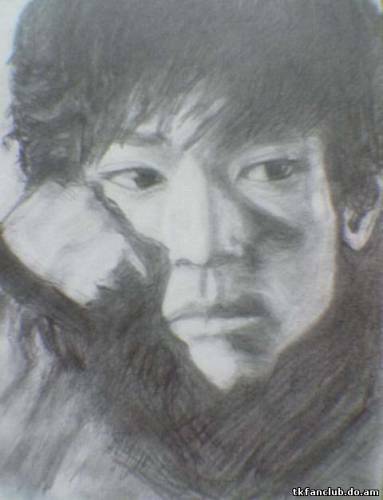 Hello, everyone and have a nice day on this wonderful planes which is also a home place for one of the most wonderful actors - Takeshi Kaneshiro. We are glad to inform you that our creativity is growing bigger and gets more and more of the interesting and fresh ideas. 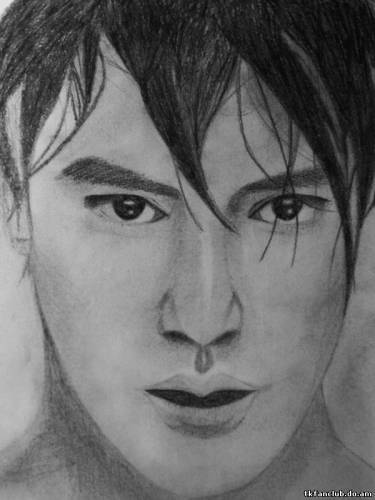 The Fan Corner is been updated recently with awesomest creations. 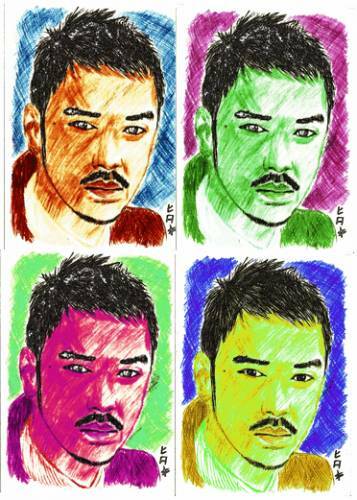 First of all - all of them are dedicated to Takeshi Kaneshiro's birthday. 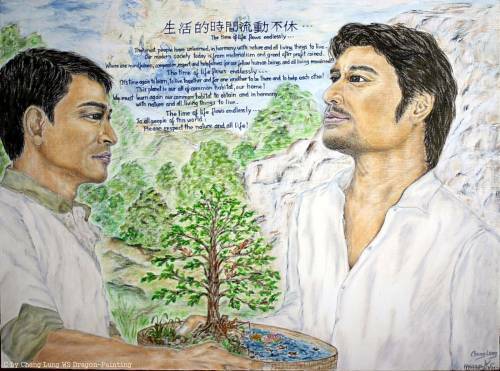 The verse dediacated to Mr. Aniki Jin by TakeshisFun and wich is called "As a leaf you gaze"
Plus, we have a new great creation from our special artist Cheng Lung WS which is also dedicated to TK's birthday and is called "The Dragon Will Protect You and Watch Over Your Sleep - Luck"
We have made a new message for the sake of delivering the words of Chenglungws (e-mail contact: chenglung@arcor.de) who's activity is directly connected with the desire of Chenglungws to help Japan with her creations that might have helped people at Fukushima - after the auction money she could have gathered would have been sent to Japan - her art in frames of her relief activity are called Help for Japan. Visiting her page at Facebook: http://www.facebook.com/notes/waltraud-schnurr/help-for-japan-hope/158881554168316 (the link is also left not active in case you cannot go through with the active one). 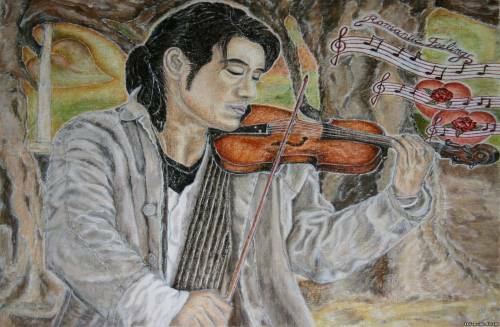 Other details of her work is avaliable here. 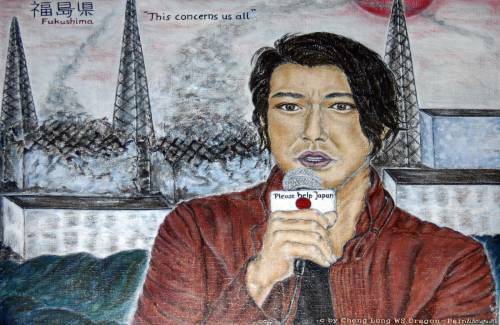 That is the message from the fan art of TK fanclub and we deliver information on Chenglungws (e-mail contact: chenglung@arcor.de) fan art and actions to help Japan. 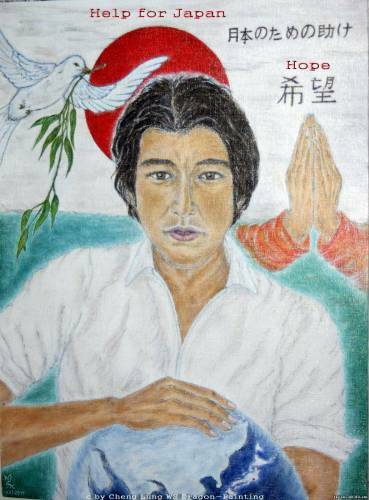 You may like to join forces with Chenglungws or find her information useful so, for that, visiting her page at Facebook: http://www.facebook.com/notes/waltraud-schnurr/help-for-japan-hope/158881554168316 (the link is also left not active in case you cannot go through with the active one). Greetings ^____^ in the New 2011 year! 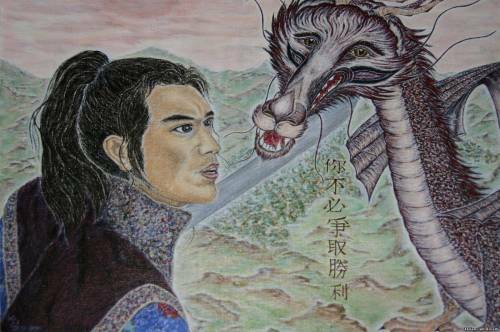 And two wonderful portraits with the dragon scene for "The house of the flying daggers"
Enjoy them and do not forget to visit the Cheng Lung Ws's page at facebook. 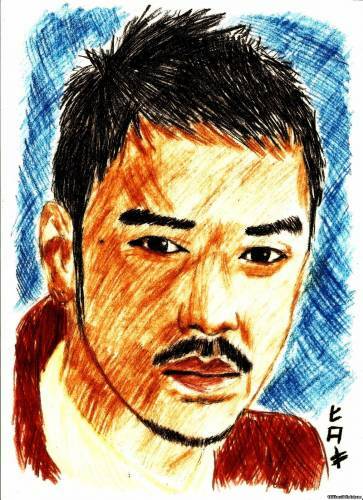 We are hapy to inform that the new works from Miyamoto_666 are avaliable at our site! We have a wonderful news! 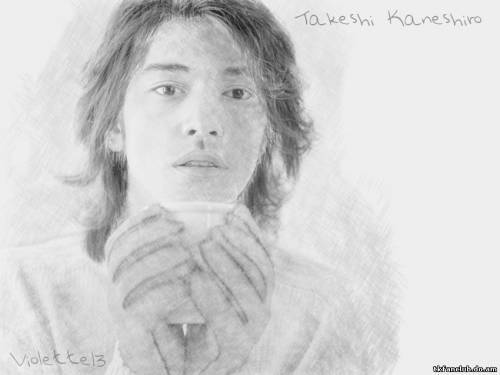 We would like to introduce the new creation made by eng - the portrait of Takeshi.